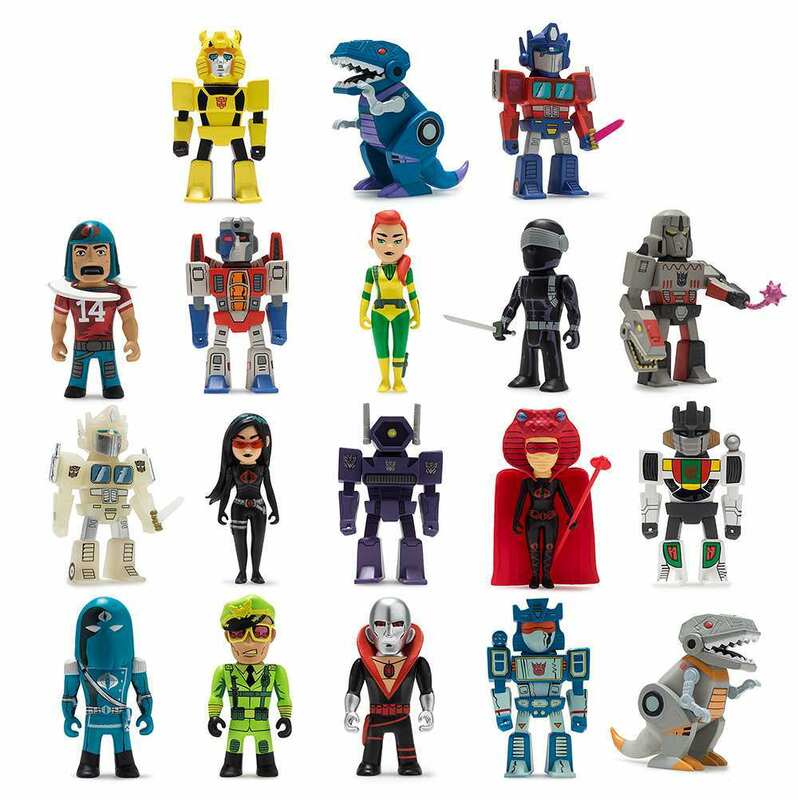 You may remember our last news post regarding the collaboration between Hasbro and KidRobot to bring you a lineup of items based on Transformers vs. G. I. Joe series. It so happens that online retailer ToyWiz has posted some details of more upcoming additions to the KidRobot Transformers VS G.I. Joe collection. In addition to the 7-inch Cobra Commander and enamel pins, we are also getting a set of 18 PVC minifigures based on the Tom Scioli comic series, including the likes of Bazooka, Scarlett, Snake Eyes, Baroness, Destro and many more as they appeared in the series. The figures are set for a December 2017 release. Check out the images, after the jump. Nobody is talking about this? I think these are pretty cool. I picked up both the regular and limited edition Cobra Commanders and two random pins. Can't wait to see what i get! Where are they selling these? "Thanks for reaching out. Buying a display case worth of blind box pins does not guarantee that you will receive all the characters from the series, there is the possibility of duplicates." Are all these figures 7 inches tall like the previously-released Cobra Commander? As far as I can tell, it doesn't say what size they are in the link, but considering that these are blind boxes I think having them in a smaller scale would make more sense. 7-inch blind box figures would just be crazy (and expensive). Would buy these. Its neat that GI JOE is able to float retail without a toyline from Hasbro. Very excited for these. My CC arrived this morning. Box states there will be a Megatron at that scale too! I saw the initial images for these months back. The production pieces look fantastic. These will all be 3" blind box vinyl figures. Kidrobot is very good with their ratios too!